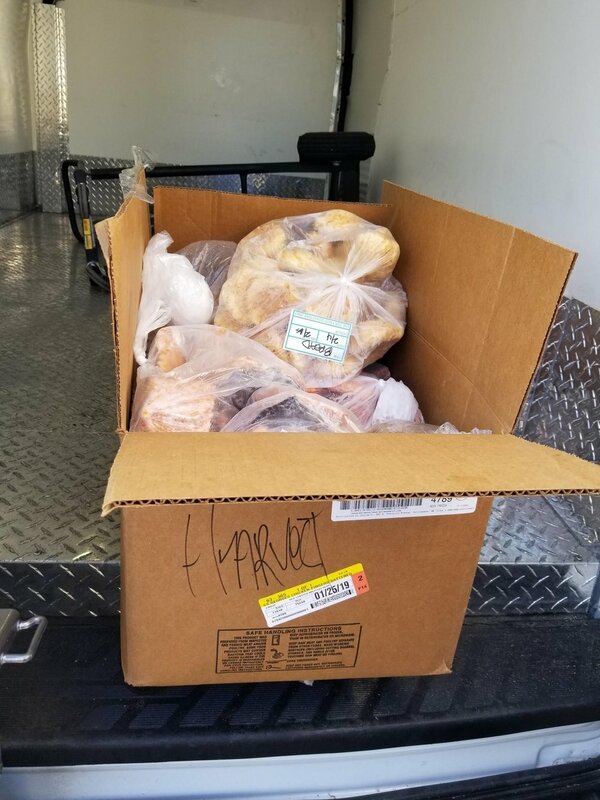 HomeFirst is partnering daily with Hunger at Home to ensure that surplus food and household goods are delivered to agencies such as ours for those who are homeless and/or food insecure. Our CEO Andrea Urton is pictured here with Hunger at Home CEO Ewell Sterner and Board Chair Michael Miller at a recent event. Please click on the link below to review and share with your family and friends. A special thank you again to Heritage Bank of Commerce and CreaTV San Jose! The SPUR 2019 Impact Awards honored public sector employees in city and county government in Santa Clara County who are making a difference within government and the community at large in the areas of housing, transportation, placemaking and urban design, and sustainability and resilience last Friday at the Computer History Museum. HomeFirst's CDO Stephanie Demos and Volunteer Coordinator Jaclyn Salinas represented HomeFirst at the event. Please join HomeFirst CEO Andrea Urton, Destination:Home, Path San Jose, and First Community Housing next Tuesday, March 19 for a very important panel discussion on housing affordability in Silicon Valley. The event will be moderated by Colliers International featuring Raul Peralez. Event and RSVP information below. All hands on deck at our all-staff meeting today at the BRC! 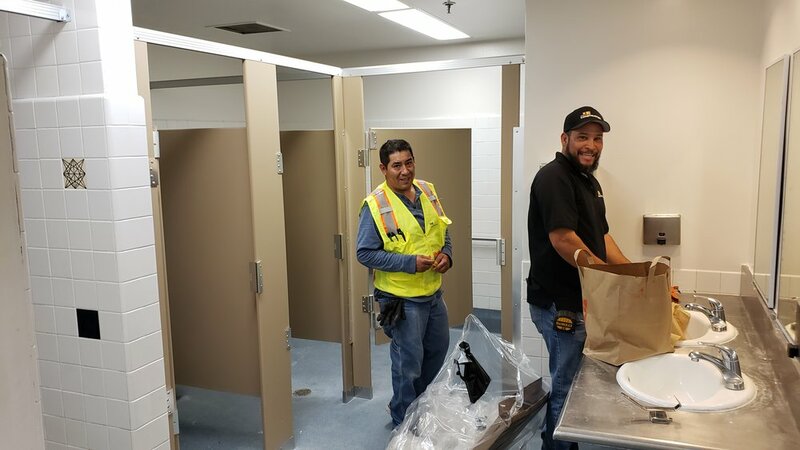 As shared by senior management, the future is bright at HomeFirst, and we have a lot of great staff going out into the field literally every single day to help those in need. We are all committed to ending homelessness together, and hope you'll join us, too! Please check our Careers page for a list of current opportunities. Every opportunity to shine the spotlight on the plight of homelessness—no matter the season, no matter the weather—is not only welcome, it’s necessary. It is far too easy to make assumptions about the people who are living unhoused and about those who have chosen to work on solutions. It is counterproductive to trivialize the work we do with barbs such as “Little Torture” and “PR stunt.” It is impossible to demand empathy. The original op-ed began asking the reader to image the conditions on the streets right now. We don’t have to imagine what it is like, because it a reality we face every day in our work. 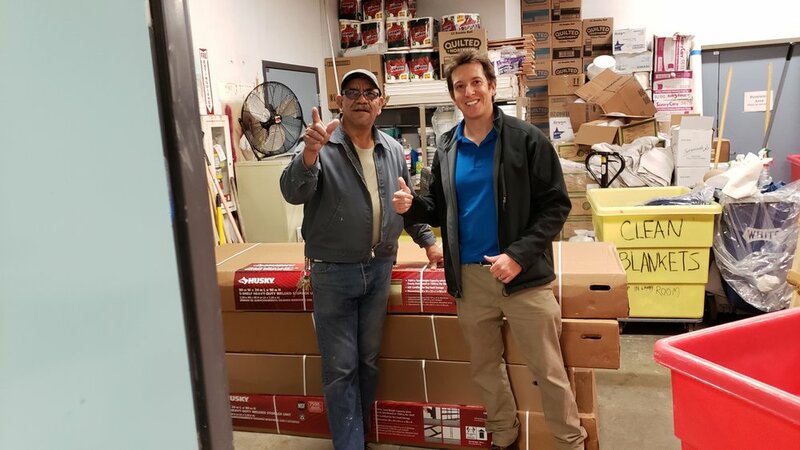 HomeFirst outreach teams were out every day, all day last week to warn anyone living along a potential flood zone of the impending danger of the forecast storms. The ideal outcome is to bring the individual or group (with beloved pets) back to the shelter—to a safe, warm space to sleep along with meals and access to supportive services. While those defined as “chronically homeless” are but a small percentage of the total number of unhoused, the reasons for chronic homelessness are highly individual, sometimes, but not always a result of mental illness or substance use, sometimes a result of abuse, sometimes a fear of living in close contact with strangers. This is the stereotype. 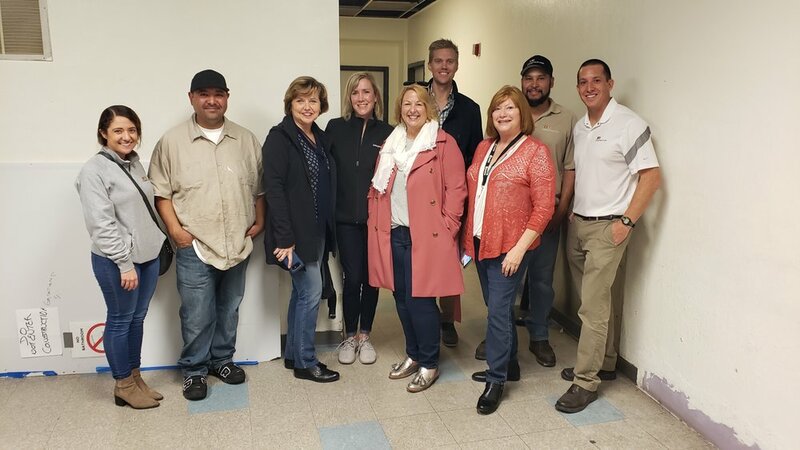 We, along with the city of San Jose, Santa Clara County and a long list of service providers, choose to offer services and shelter in the hope that consistent contact may build trust. We make wellness checks, offer water, snacks, hygiene kits, dry clothes, blankets and more. That is why HomeFirst has hosted a memorial service every year since 1999, the heart of which is the reading of the names of everyone who died unhoused the previous year. On February 13, we read 158 names and birthdates. Each name represents a whole person, no matter how long or short their life. For each there is a life story and where possible we included an anecdote to focus on that life, that story. Max Zizumbo was born in San Jose, graduated from Yerba Buena High School and joined the US Army in 1989. He served in the Gulf War. 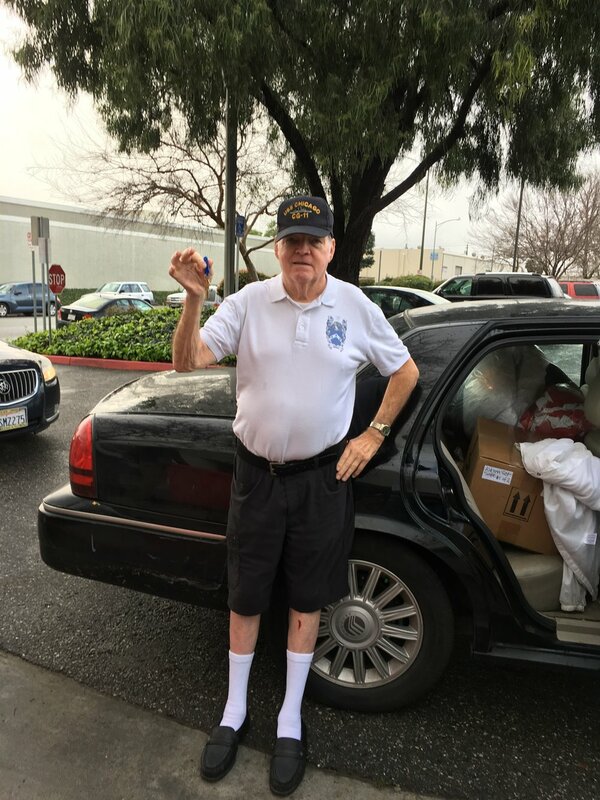 He was a fan of the SF Giants and the Dallas Cowboys. Jake Maldonaldo (b. June 29, 2018) and Bernadette Pereira (b. April 24, 2018) died as infants, infants without a place to call home. This is not acceptable in our community. It is, frankly, obscene that 94-year old Florence Leung and 88-year old Gunter Barth, died homeless at such an advanced and vulnerable age. We can do better. All 158 were remembered, because all 158 mattered. We are proud that six of our board members volunteered to be readers this year—proud of their passion for the mission and for any opportunity to be of service. This is a moving and meaningful experience for each of them. Because we work hand-in-hand with local elected officials on solutions such as the Bridge Housing Project, the elected officials who enact policy are always an integral part of our public events. Every guest of every shelter HomeFirst operates is welcome to attend the memorial service, as are volunteers, community leaders, fellow service providers and anyone who is homeless. Save-the-date postcards and numerous on-line reminders were sent to more than 1,000 individuals. Numerous announcements were made throughout the day at the BRC. There were, in fact, homeless guests in attendance, but we gave everyone the choice of whether to participate or not. Among the suggestions we’ve already received are to distribute flyers and posters at all shelter facilities, to offer transportation to and from the BRC, and to begin the service at 2pm rather than noon. San Jose’s Overnight Warming Locations (OWL) are managed by HomeFirst on a day-by-day basis but activated by the city. Originally there were four sites with one just for families. As of Jan. 13, no one had visited the Alum Rock family site so we focused on the remaining three locations: Leninger, Bascom and Roosevelt. Since Dec, 24, the OWLs have been activated for 30 nights with a total of 1,699 overnight stays. The maximum capacity of 30 beds per site has been reached seven times at the Bascom site and 18 nights at the Roosevelt site. With more than 7,300 homeless people in our county, we need people and organizations to work together to drastically reduce this number. We need creativity and cooperation. The way the Valley Transportation Authority’s Route 22 (aka Hotel 22) has been used by many unhoused people seeking overnight respite is truly creative, and for that we are grateful. HomeFirst has aligned with others to lobby for the continuation of this service, yet ultimately it is the VTA’s decision. The number one reason for homelessness is job loss and the longer the episode of homelessness the longer it takes to get back on one’s feet. 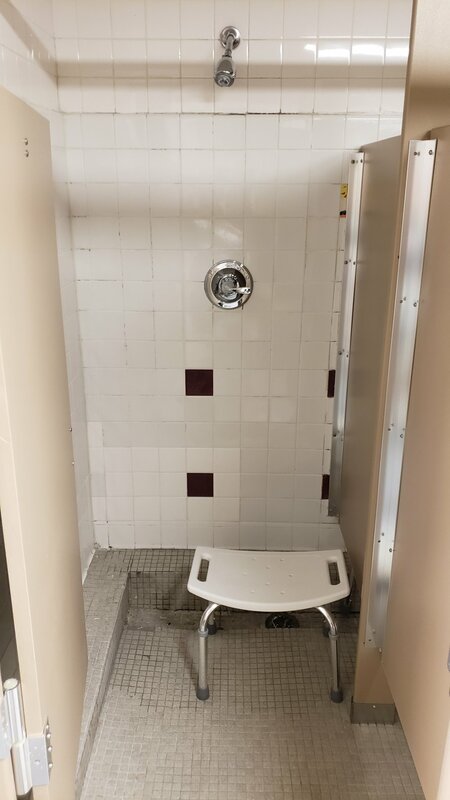 Among the recurrent reasons that unhoused people eschew shelters is past experience with domestic violence, PTSD, traumatic brain injury and other conditions that makes a large, loud facility with strangers especially threatening. For those who believe homelessness is solely the result of laziness, a desire to work the system, or such, we are unlikely to dispel those notions. Yet, we are grateful for the many who are solution-focused and will continue to work with them until our resources meet the need—the need to find affordable housing for those who are literally priced out of Silicon Valley and the need for shelter designed to meet the various levels of care needed by our most fragile and vulnerable neighbors. Every day I see the enormous empathy that drives so many to work tirelessly on this issue. There are stereotypes to dispel, misinformation to address and personal agendas to consider; but if we are generous enough to acknowledge one another for efforts—large and small, the odds of making a lasting difference will be greatly increased. To anyone who wishes to be part of the solution, please feel free to contact me. Stephanie Demos is the chief development office of HomeFirst. Opinions in this article are the authors’ own and do not necessarily reflect those of San Jose Inside. Send op-ed pitches to jenniferw@metronews.com. 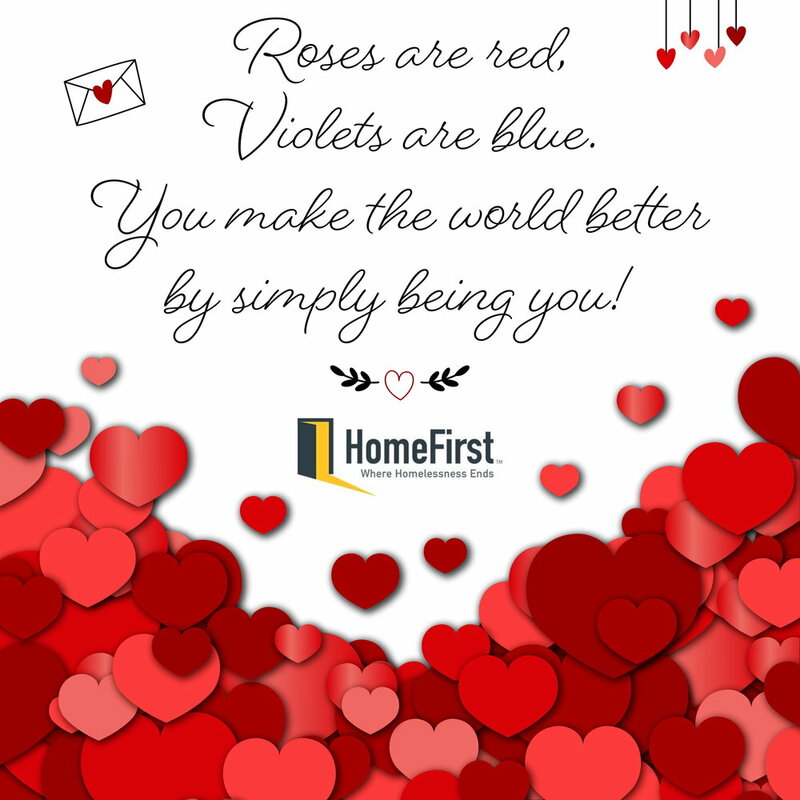 Just a little love and appreciation from all of us at HomeFirst to our dearest supporters and partners in the community! 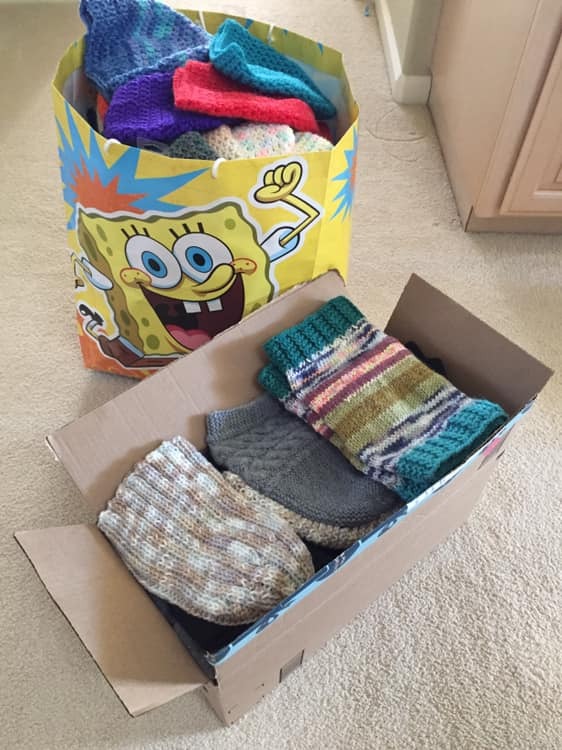 Thank you for helping us end homelessness! Volunteer Yyonne drives from Santa Cruz to San Jose and volunteers every Thursday to talk with our guests about sobriety and recovery. Mike, left, was a recent guest speaker brought in by Yvonne. They were introduced to HomeFirst by Callie Gregg, one of our case managers. All three have been clean and sober for over nine years, Mike the longest with 36 years under his belt. "We started it for the Veterans only, but then decided the whole shelter could use it," shared Callie. "Yvonne finds speakers that have been in recovery for a long time and that can relate to the clients at BRC." If you have a skill or passion for something that could possibly help our clients, please contact our Volunteer Coordinator, Jaclyn Salinas, at JSalinas@homefirstscc.org. Pictured: Callie (middle) with Mike and Yvonne. 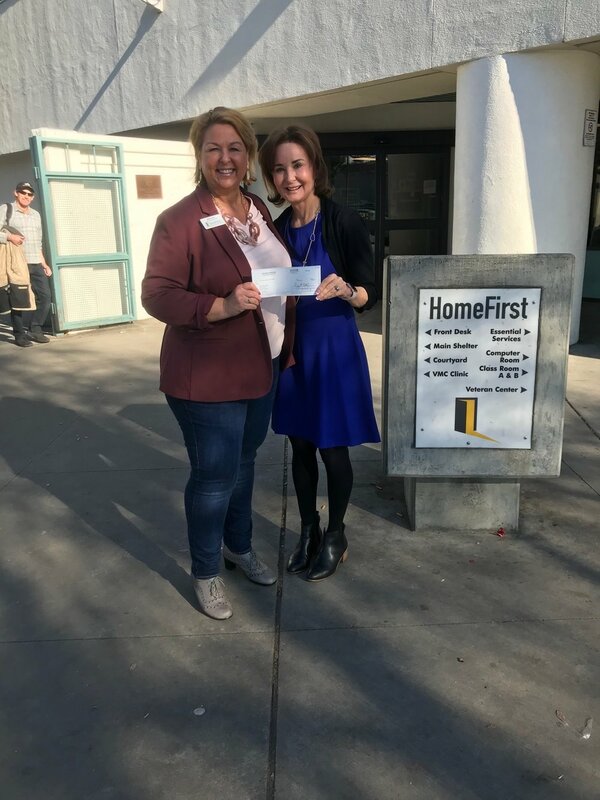 A very special THANK YOU to Heffernan Foundation for awarding HomeFirst with a $5K grant, and for your commitment to support our mission to end homelessness. Janice Berthold, VP at Heffernan Insurance Brokers, presented the check provided by the Foundation at her request, to HomeFirst CEO Andrea Urton.